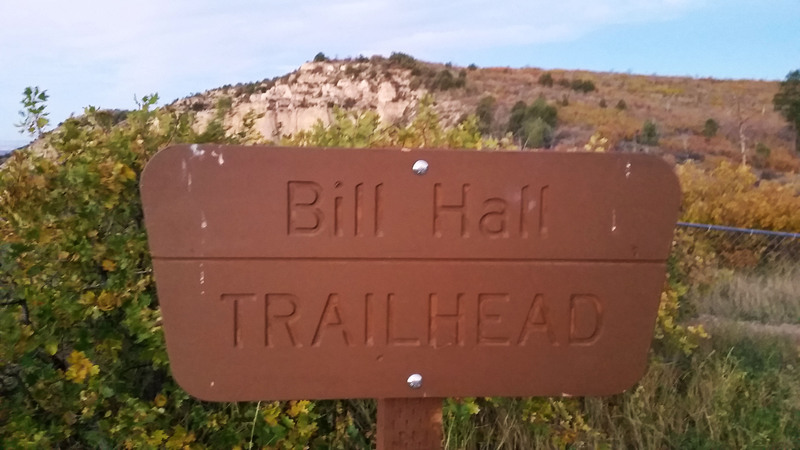 Stevo, Mark, and I stood on the edge of the enormous cliff next to a brown wooden sign that said “Bill Hall Trailhead”. 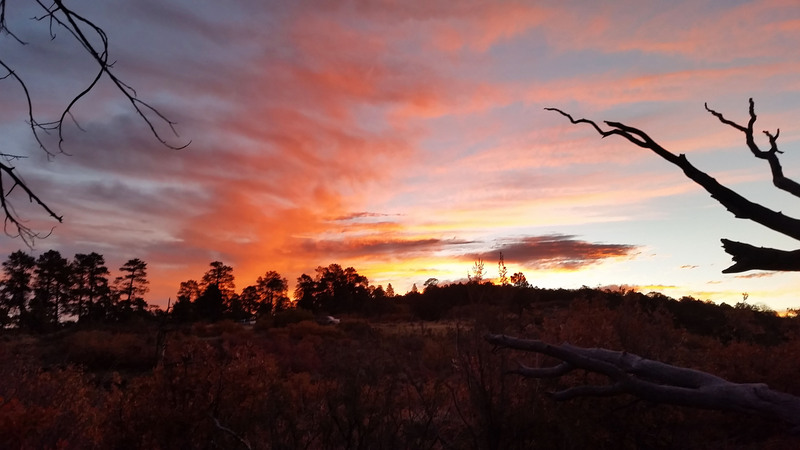 We had made the long drive from Phoenix out to the west side of the North Kaibab the night before in search of adventure and a tough challenge. 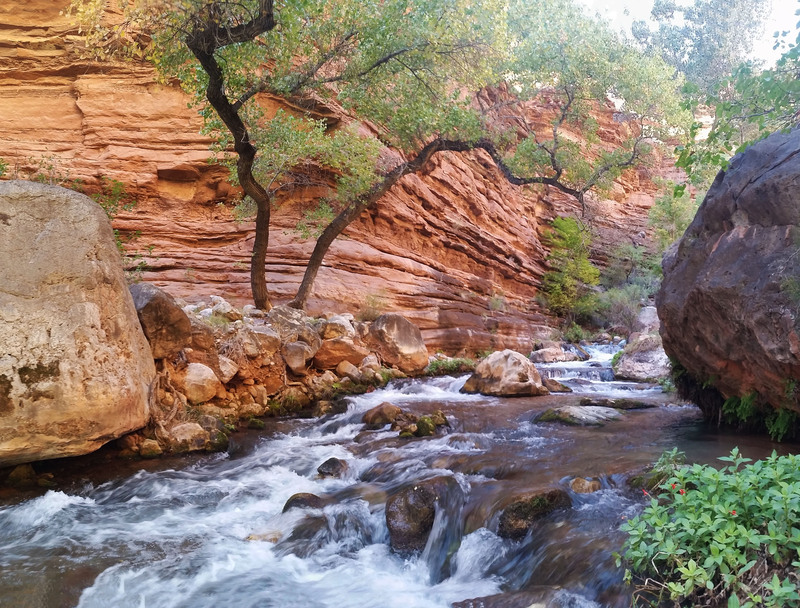 This Grand Canyon goal was to complete the Thunder River/Deer Creek trail with a side trek aimed for the Tepeats Cave up on the Tepeats Spring Canyon. Packs were heavy on our backs, loaded down with supplies for the three day journey. 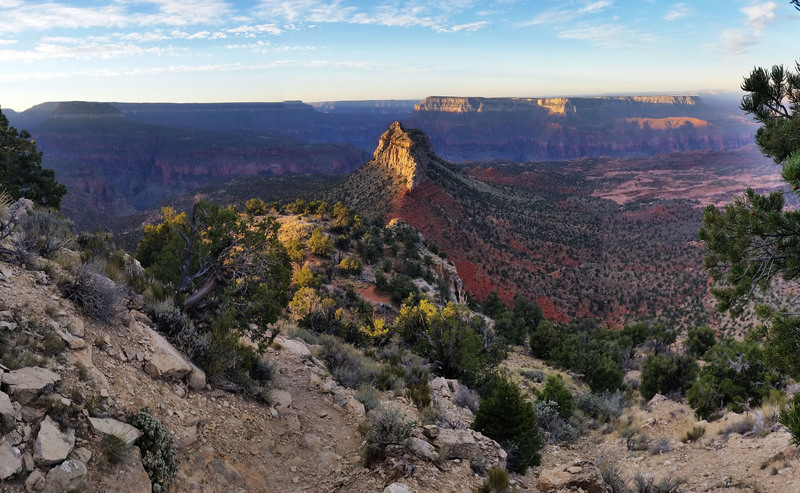 Being as ready as we were going to be, we took our first steps towards Monument Point as the sun was rising just before bombing into the abyss of the Grand Canyon. From the top we could see Bridger’s Knoll sticking up out of the esplanade plateau like the razorback of an old dinosaur. From there, we bombed down and let me tell you, with a 30 lb pack on your back pushing you down, it wasn’t easy. The trail was loose and steep, and with trekking poles in hand we picked our way down the first set of switchbacks. 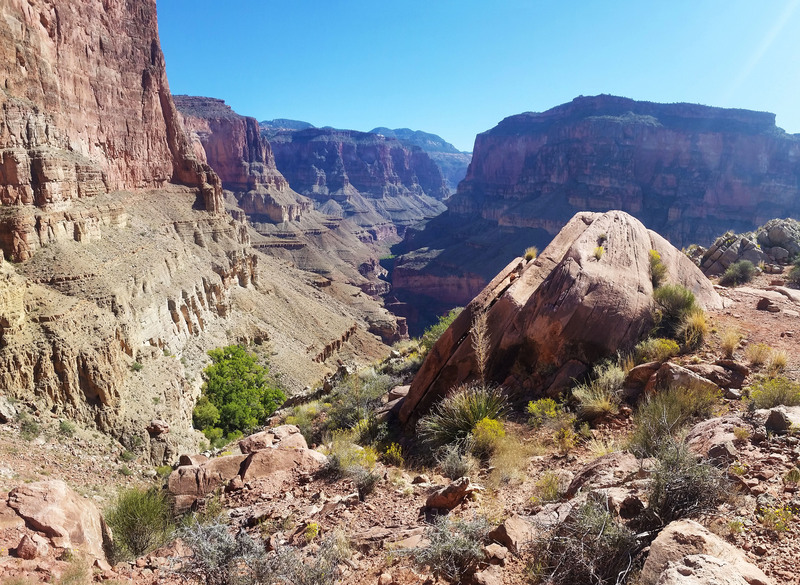 Before long we were skirting the trail westward in the shade, and as we rounded the bend we found ourselves at a beautiful open vista of the canyon beyond . . . and a nice 15 foot down climb. Stevo was first up and took it in stride while Marko and I adjusted our packs. With handholds aplenty, we made quick work of the short climb and pushed on. We finished the skirt and the many short, fast switchbacks which plopped us down on the esplanade plateau where the Indian Hollow trail met up with us. We strode forward amongst the sandstone formations and washed out cracks taking everything in, joking about current events, and talking about the dinners we would be downing that night. Just a few miles in, we took a quick rest and completed our water drop next to a huge sandstone formation. Knowing we had many more miles ahead we pushed on, over the open planes until finally we reached the head of the redwall. We looked down at the tiny trail below which we knew would be our ticket to Thunder river and eventually Tepeats Creek. Man what a view! With no time to waste we bombed off again down the next dropoff. The sun had been creeping its way above our heads and as we dropped in elevation the temps began to rise. We hit the base of the redwall in a place called Surprise Valley. We joked “Surprise! It’s hot as hell!” After a short breather and a huge chug of water we headed east across the valley towards Thunder River. Up and down the small hills we climbed, the gorgeous canyon walls all around us, until finally we heard a fierce rumbling in the distance. 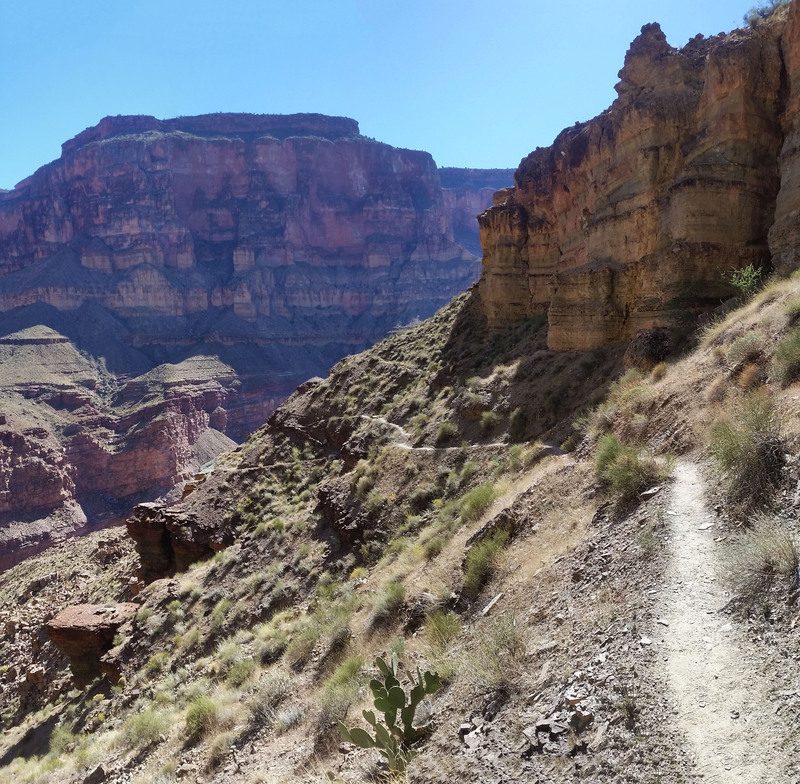 We kept trekking closer and closer until reached the top of the canyon that fed Thunder River. A huge waterfall was just rapidly spewing gallons of water per minute from the rock face. It was hard to fathom where all the flow was coming from. An underground river riding a water table out of the wall? It’s hard to know. Like a pack of kids finding an X on a treasure map we scurried down the switchbacks and soon found ourselves at the base of the falls. 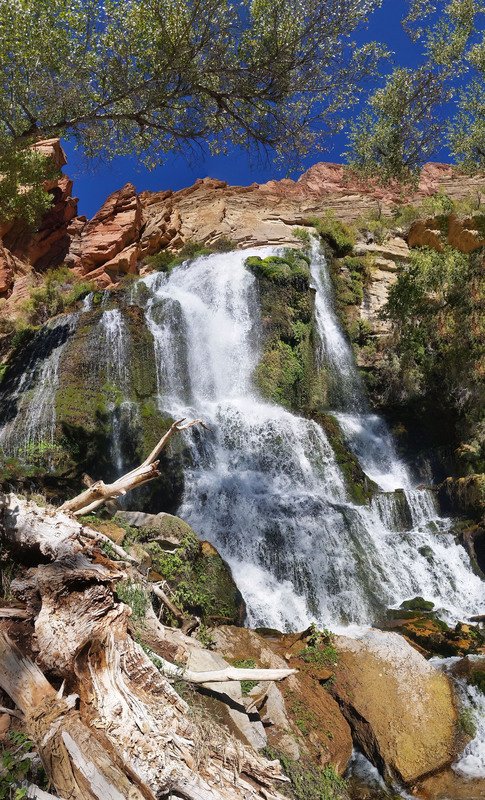 The water was a crisp, clean, and cool and though we were star stuck admiring the falls, we knew we had to move on. 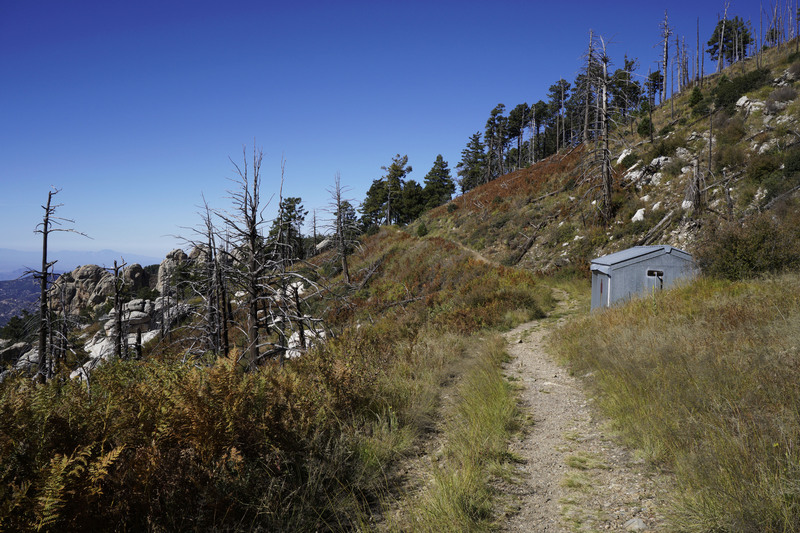 We dropped down further, skirting the canyons narrow west side trail until we reached Upper Tepeats camp where we would stay for the night. It was only noon, but we knew if we had any chance of getting to the Tepeats cave we would have to get a move on. 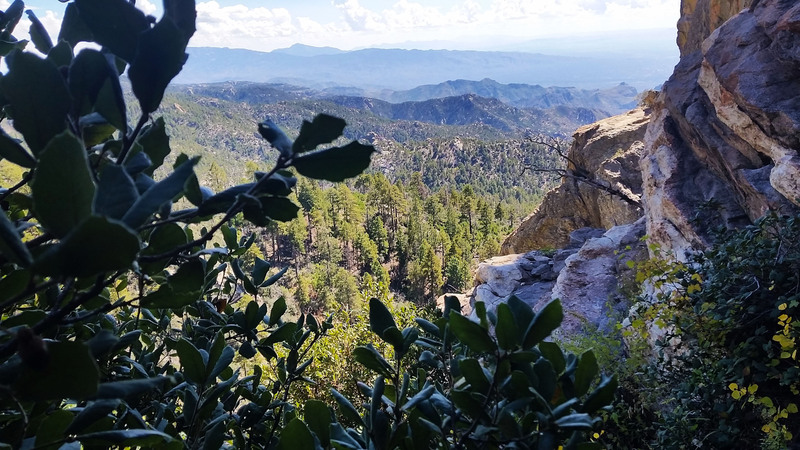 We setup our tents, staking our claim, and strapped on day packs to once again hit the trail with our eyes set on the cave, 1500 feet of gain and 3 miles of a bushwhack away. Is it time to cross yet?! 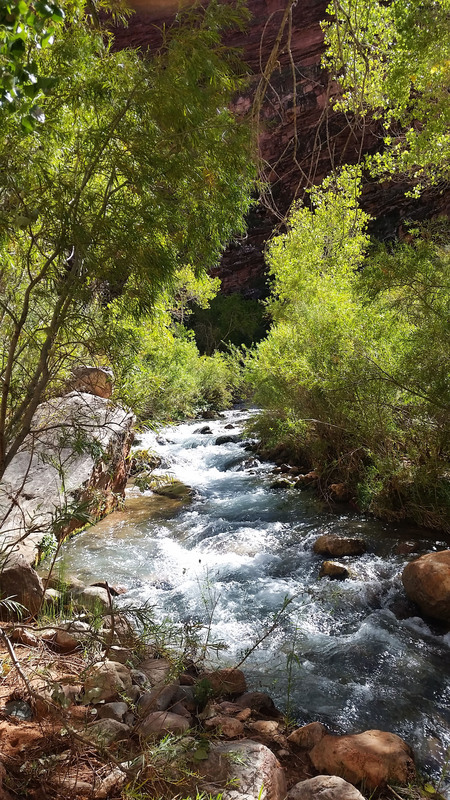 Crossing the river to the east side of the canyon we soon met the confluence of Thunder River and Tepeats Creek. Heading east, we stayed on the south bank until forced across the creekagain. Thick reeds, cat law acacia, and other brush did its best to thwart our efforts. 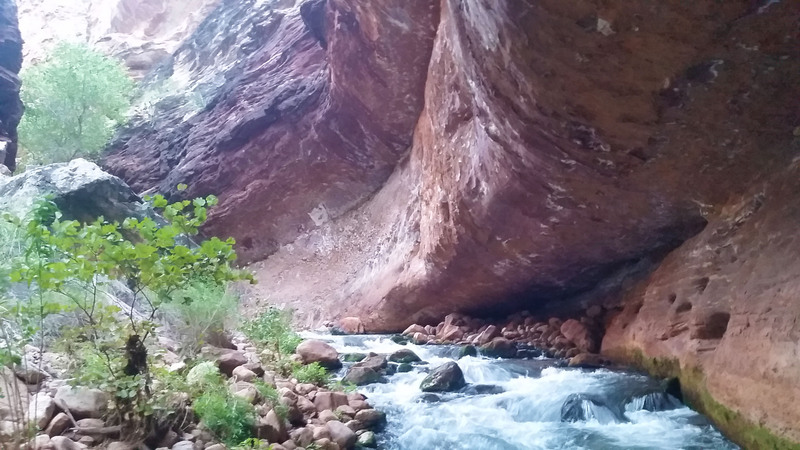 We pushed further up the creek, hopping back and forth before finally coming to a mini-subway (rock formation in Zion). Soon after we pushed up past the mini-subway we found the mini-narrows, another formation resembling a Zion-like staple. The creek was wall-to-wall here and there was no other choice but to push up through the 50 degree waters. After 50 yeards or so we spotted a cairn sitting on a wall to the right of the creek. We decided to take that option, anything to get us out of the water for a while. 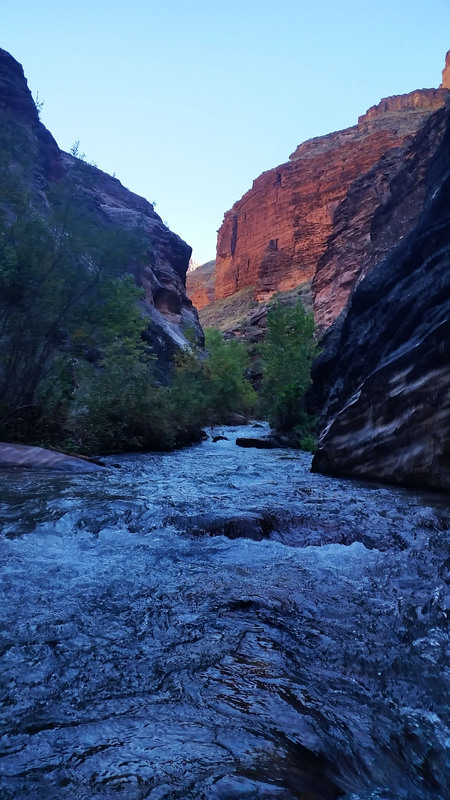 We climbed up out of the riverbed to the south bank which took us skirting far above the rushing waters of the creek. This was the easiest terrain of the whole side trek to the cave, so we enjoyed it! 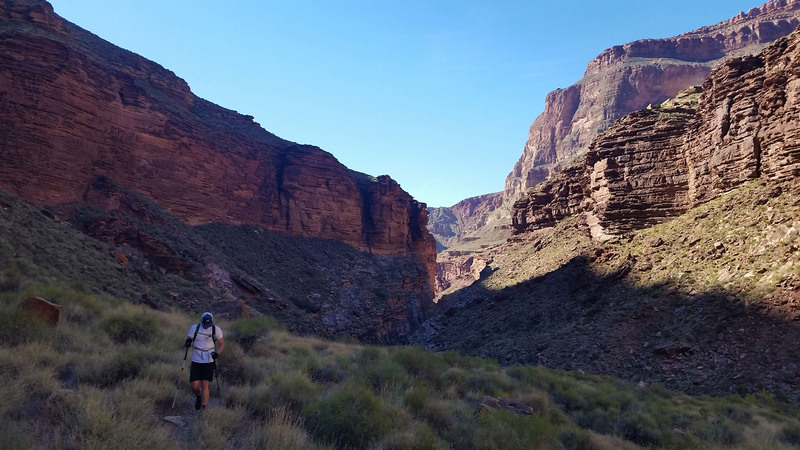 All good things come to an end, and so did our dry wall skirt as the trail dumped us back into the creek and pushed us north up the final canyon that held the cave. We were all tired by this point, but there was work yet to be done. 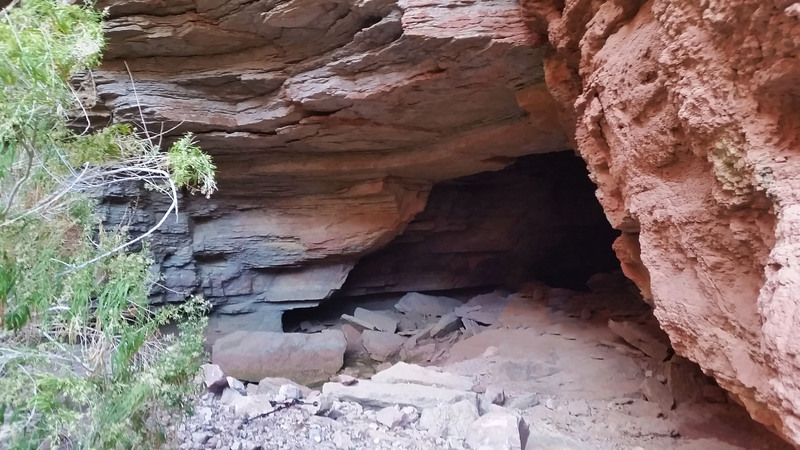 We found a small use trail and continued to push forward, hopping rock to rock, pushing through thick brush, and skirting exposed rock faces before the mouth of the cave finally came into sight. 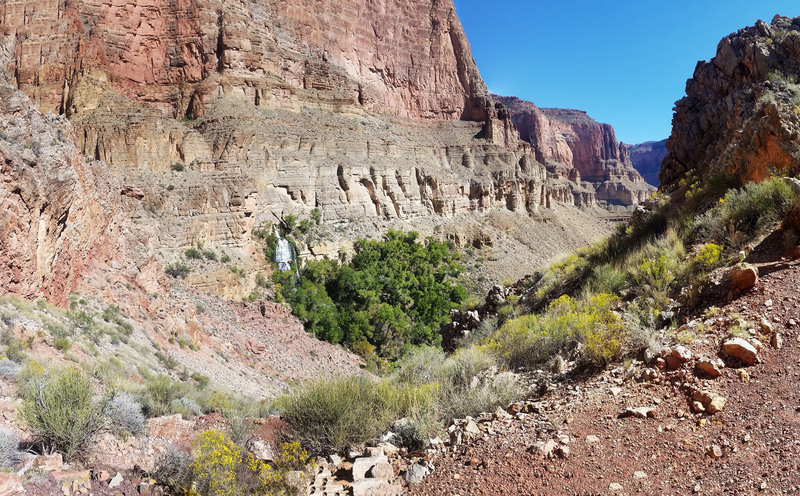 It was on the east wall, just below the last cottonwood we could see in the canyon. We had expected the trial to become a little easier from here, but it only became harder. Marko, exhausted form the journey and coming in cold, decided to sit out the last push and replenish his batteries creekside with a water filter and a good snack. Stevo and I pushed on up the loose rock hopping back and forth the final quarter mile before reaching our goal. 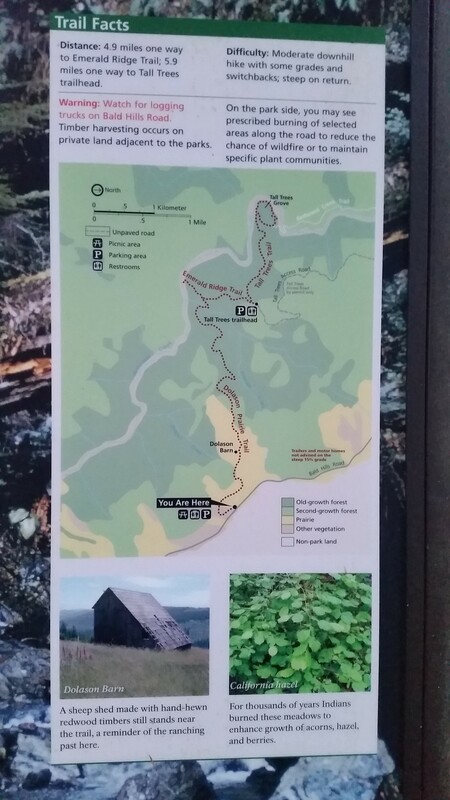 Up Tepeats Creek we go! We turned around knowing time was running short and headed back the way we came. 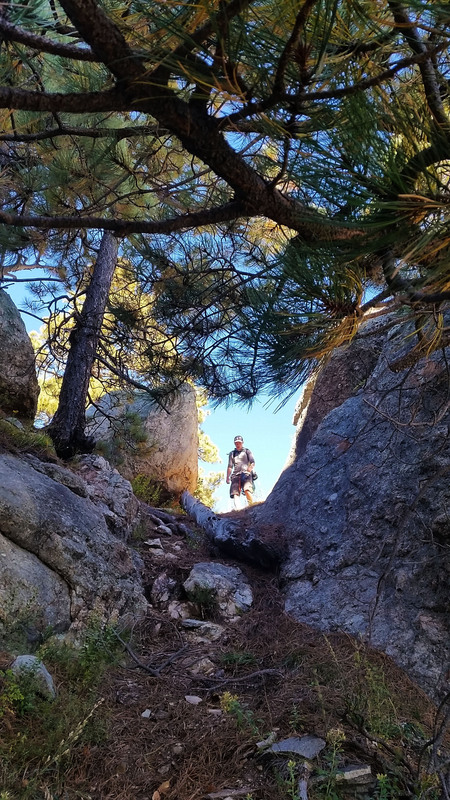 Through the maze of the cave, out the mouth, and back across the skirting exposed faces of the trail, we made our way until finally meeting back up with Mark. We could have easily spent hours in the cave checking out every crack, every room, nook and cranny. There is no telling how big the place was as some rooms were inaccessible without the proper gear. Satisfied with our journey for the day, though, we slogged back to camp tired but in good spirits. 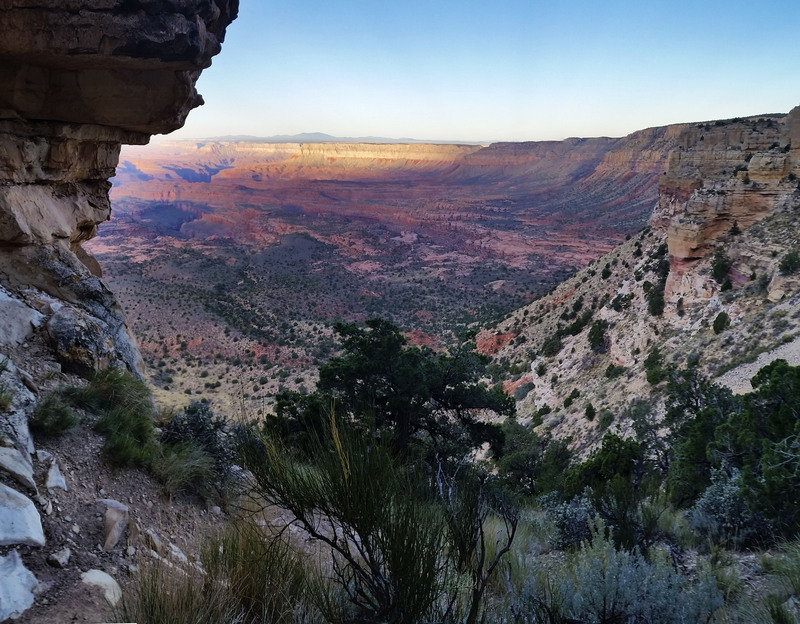 To our surprise we arrived just before the last bit of light slipped out of the canyon. As we cooked our Mountain House meals we exhaustedly reflected on the trek behind us and what was yet to come. What a great day it was, there’s nothing I love more than being outdoors. cave lake, so clear and clean! Kari and I set out from Phoenix on a Saturday night in great spirits, our sights set on Mount Lemon for some trad climbing. 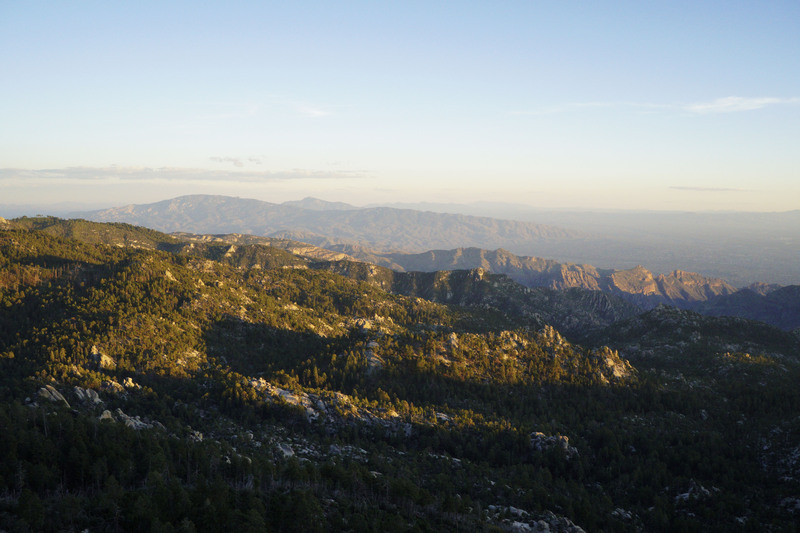 Located just outside of Tucson, AZ, Mount Lemon is a “sky island” where the base rises rapidly from the surrounding desert to a good 7000 feet in prominence. Along the road that would lead us to the top, characterized by hairpin turn after hairpin turn, was a different climbing crag. We were aiming for a trad route called Standard Route with the Black Quacker linkup just off of Rap Rock near the summit. After the long drive up the mountain, we found a nice spot on incinerator ridge where sparse camping is welcome and plopped down for the night. 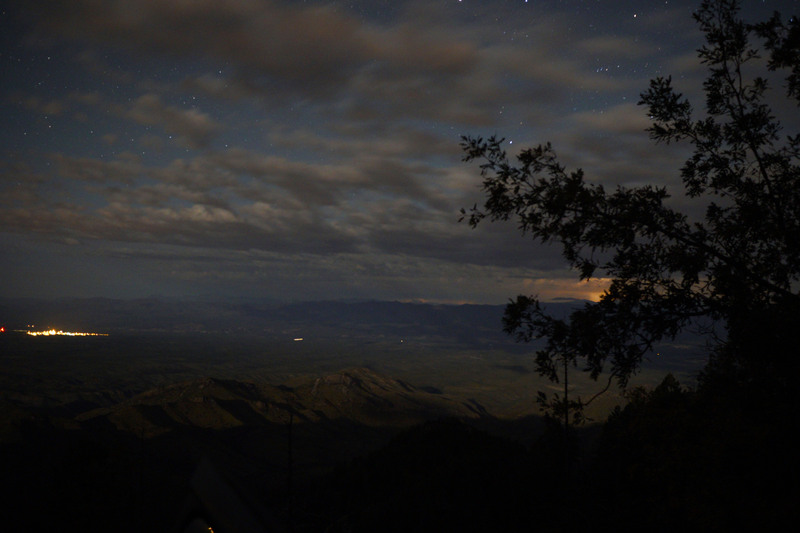 As an added bonus we got to watch a killer lighting storm from afar as it lit up the night sky just before crashing out. The next morning the sun rose far too early. Rustling like a couple of lazy bears we finally got up, got breakfast rolling, and packed everything up for the day’s trek. The engine vroomed as I started my van and before long were off once again, headed for the summit parking lot. We pulled in to see a few other climbers getting ready to set off for their intended routes. 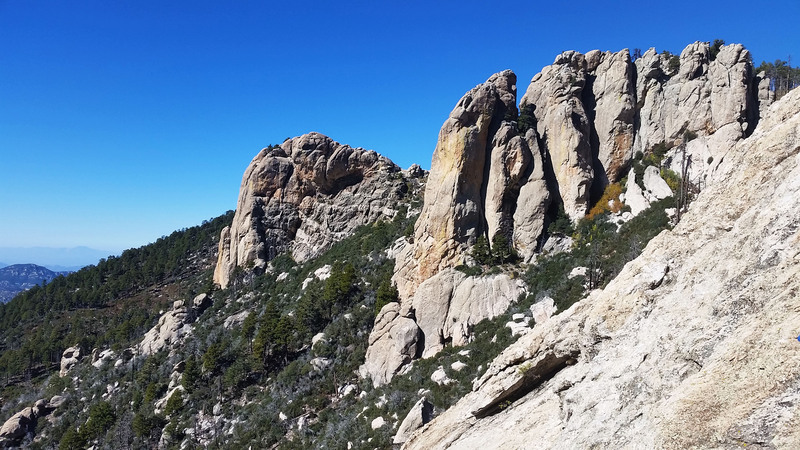 We grabbed our gear and the route description and headed down Mount Lemon Trail #5 towards Rap Rock. We passed a small metal shack next to Quartzite Spring, and just 100 yards later the climber’s trail bombed down a drop-off headed to the saddle just behind Rap Rock. Down, down, down per usual, we hit the saddle and found the trail split, heading both east and west. Following the route description we took the trail to the east and it was bushwhacking time! The “trail” was tight and overgrown so we stumbled our way through it, trying to find the path of least resistance, until finally circling the southern face of the wall and the base of our climb. We started pulling gear from our packs and prepared for the ascent. Rope? Check. Harness? Check. Shoes, helmet, trad rack? Check, check, check. Quick draws? …silence… Quick draws? Kari looked up at me with an ‘Oh crap!’ look and I knew there was something wrong. We pulled our bags apart, double and triple checking, but it soon set in that the quick draws were still sitting in the van, doing nobody any good. Such is life, I guess. We were outdoors with some awesome weather…I could think of worse places to be! We stashed our gear, I stuffed my daypack with water for two, and we took off to the west of the rock thinking it looked like a better trail to get back to the saddle. This proved to be our second mistake of the day! Skirting the base of Rap Rock was easy enough at first, but soon we were pushed into a nasty, thick bushwhack with no clear trail to the saddle. We had already lost too much time as it was, so we had no other choice but to keep pushing up through the enclosing brush. Bushwhacking! Climbing back up to gather our quick draws, little log balance action! Hopping boulders, dodging sharp thorns, and pushing up some unforgiving gain we finally reached the saddle. I looked to Kari, who was a bit flustered, and asked “Just like home, huh? !” Being from Iceland, Kari was used to the off-trail bushwhack and we were both determined to get a good climb in for the day. We reached the van and found the quick draws hidden away in the bottom of his gear bag. 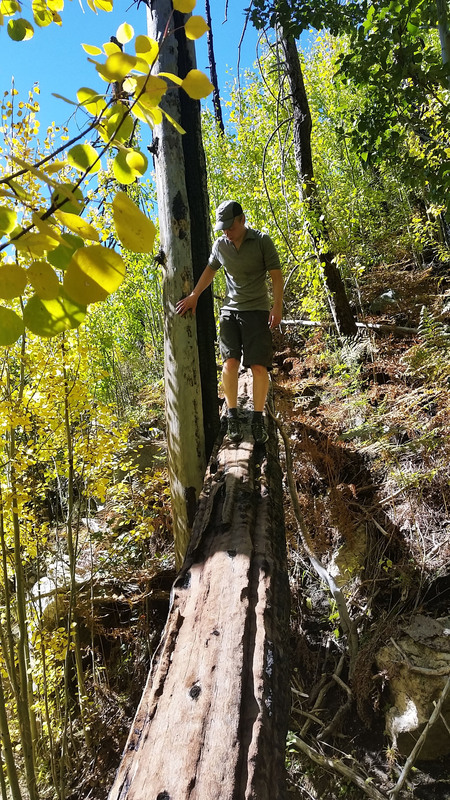 We laughed at the silly mistake, at that point it was all we could do, and headed back down to where we had left our gear at the base of the climb. No one else had been in the area so our gear was undisturbed. We strapped all our gear on and got ready for the climb. Quick draws?! Check! The climb was a 4 pitch and Kari opted to take the first. Reaching the first gear placement is always the hardest climb for lead climbers, and the hardest part to watch for lead belayers. Kari was up on the wall just 5 or 6 feet off the ground but began to skirt toward a crack off to the right. As he traversed, the ground below dropped off making the penalty for a fall even more severe. Until he placed his first piece, the only support he had was being tied to a rope, which in turn was tied to me 15 feet below. He finally reached the crack, looking (from my perspective) like a sticky tree frog, where he placed his first piece and clipped the rope in without breaking a sweat. “On belay” I hollered, letting him know I had him if a fall were to occur. Kari pushed on, up the crack until finally reaching a nice pine on the ledge above. He set the anchor, pulled the slack out of the rope, and hollered back “On belay!” I was technically on ‘top rope’ at this point, the safest kind of climb you can have, especially with a bomber tree to hold my weight if I were to fall. 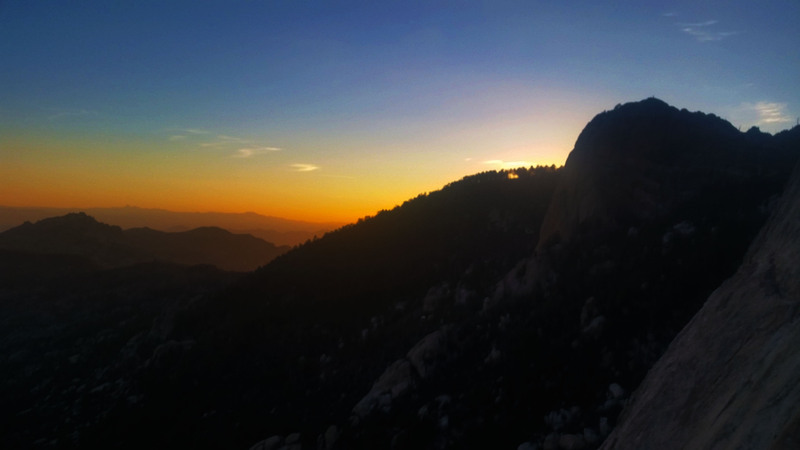 I threw my pack on and plunged my hands into my chalk bag… it was finally time to climb! Up the tiny holds on the slab I went, finding the traverse, and like a silly climber I gave the drop below me a good gander. My fingers beaded with sweat as I continued to traverse toward the crack. I finally reached it, throwing my hands inside the negative crack and using friction to hold myself in place until I could grab a good hold higher up. I collected the gear and slowly picked my way upwards to the tree where Kari waited. I clipped into the anchor, relieved to have the first section done. After a short break, I began to gather the gear and prepped for my first trad lead up the second pitch. 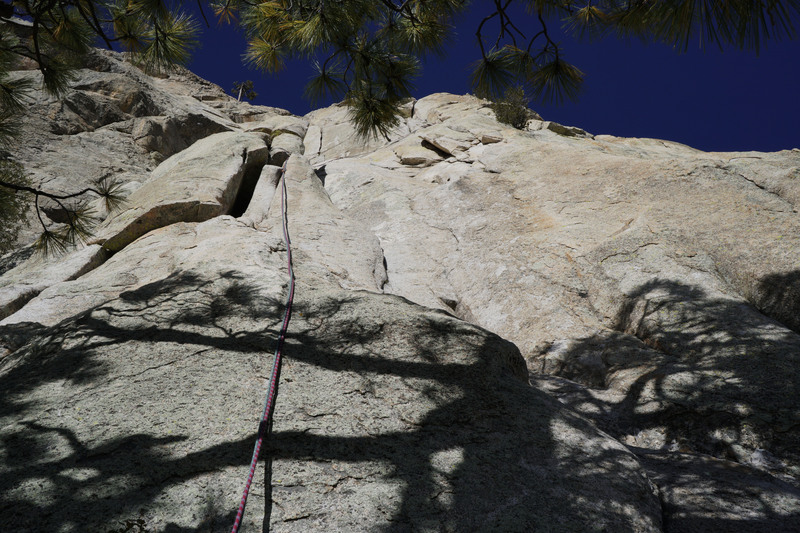 The full trad rack weighed on my neak, dangling over my chest, obstructing my clear view of footholds below me. “This is going to be fun” I thought to myself as I reviewed the pictures of the route ahead. The runout to the first gear placement was pretty substantial, at least in my mind, at maybe 20-30 feet (I could easily be exaggerating) and the description read “PG13”. I started the climb, slowly making my way up the slab. It wasn’t a very technical start, but the next safe rock seemed to be miles away. I looked back down to Kari 15 feet below and thought “I can’t downclimb this, I have no choice but up”. This was about the time that I noticed Kari was looking away from me, and I knew it couldn’t be a good sign. He later told me that he had looked at me half way up the pitch and thought “What have I gotten Mike into?” It was time to turn the lizard climbing brain on and push all the negative thoughts out. 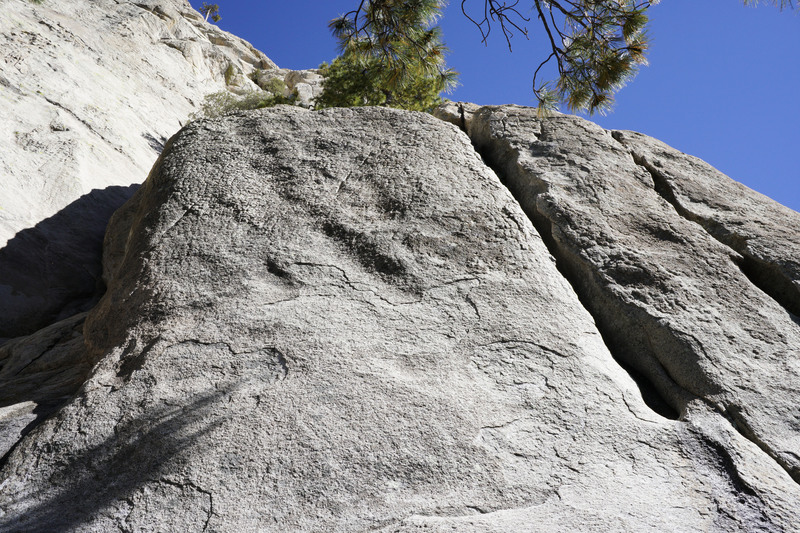 I concentrated only on the holds and feel in front of me, and before I knew it I had worked my way into the first usable crack and was searching for a good placement for my first nut. Finally I stuck it, threw a quick draw on the end of the nut leadwire, and yelled “clipping” as I pulled the rope up to clip in. A huge weight lifted off my shoulders and I sighed as I finally felt relatively safe. Leading is a total mind game. Sure there is danger, but if you can keep it together you’ll be just fine. I kept pushing up, placing piece after piece as I shouted “Clipping! Clipping!” Feeling focused, I spanned from one high left to a crack on the right into a layback which felt good. 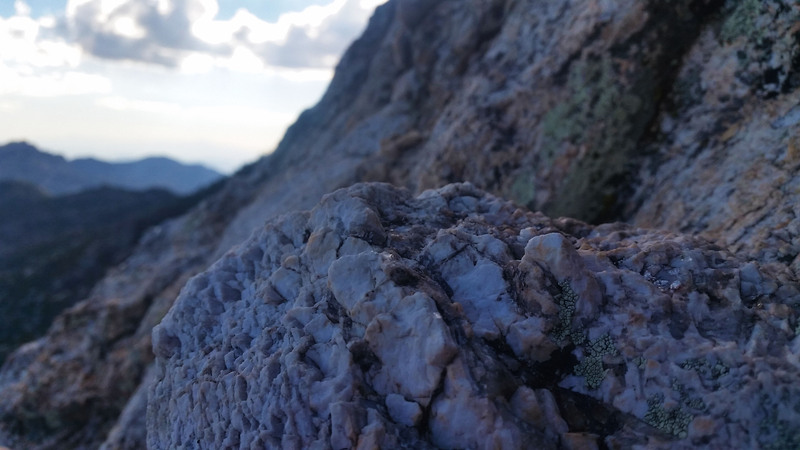 Inch by inch, I scampered up the pitch until I finally made it to the next belay station. I set up a good anchor and put Kari on top rope. The friction was high from the second pitch; I was pulling with each arm independently to take the slack out as he climbed, coiling the rope at my feet until finally Kari popped over the ledge as well. “Nice lead man!” He exclaimed as he clipped into the anchor. 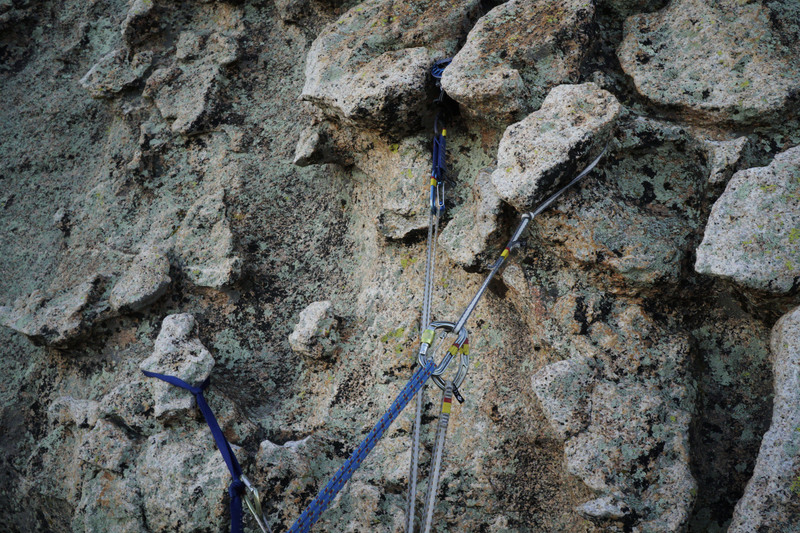 It was my first true trad lead and I was happy everything went as “smoothly” as it did. Kari lead the third pitch, making it look easy as always, even through some tough overhang spots and questionable crack traverses. He stopped at the top of the third pitch at a hanging belay and once again I was ready to climb. 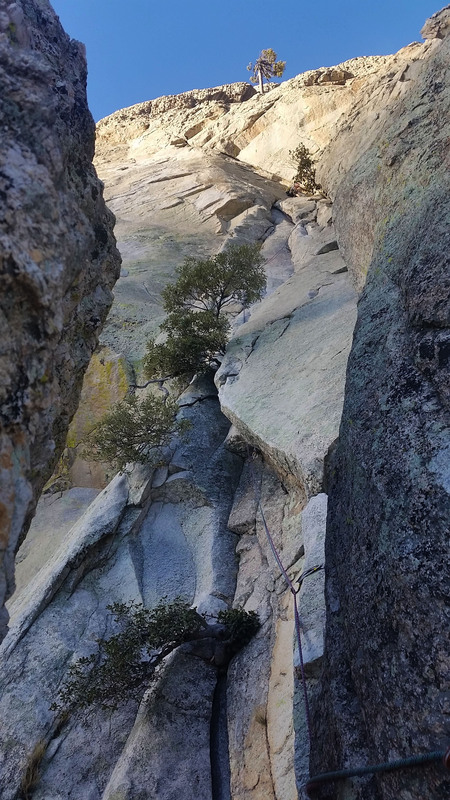 I clung to the rock, pulling gear as I went up and over the tough overhang start to a traverse with a foot on a convenient tree limb (I counted on it, why not?!). I tried to climb quickly as I knew Kari wasn’t a fan of the hanging belay. I finally reached Kari at the belay. My feet were on fire from being stuffed in aggressive shoes, it didn’t help that the sun was beaming on my already pressured feet. 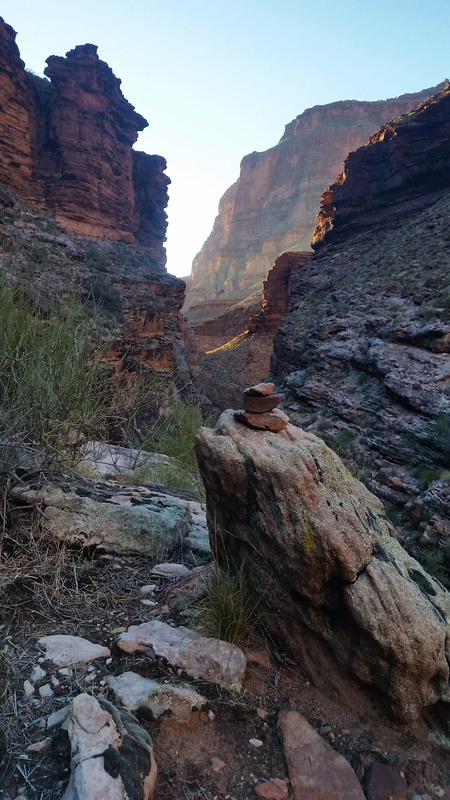 We swapped lead for just the first section of the pitch as I needed a break and Kari wanted to take on some exposed chicken head work (small rock formations that were great holds and almost looked like little deformed mushrooms which stood proud above the surrounding surface). He quickly reached a good belay spot and I was off again. Chicken heads are great for climbing but labor intensive on the rope as they cause quite a bit of friction, so Kari stopped short and I finished the final pitch onto the summit and into the dark. The sun had long since forgotten us and the moon came out to help light Kari’s final ascent up the 4th pitch. Summit! We finally made it! Exhausted form the day’s climb we gathered our gear and prepped for the hike out. We slowly made our way down the backside of Rap Rock down a class 3 scramble and back to the saddle that would eventually lead to the van. It was a full day and we were both ready for it to be over, but we still had the “short” 25 mile drive down the mountain and the two hour road trip back to Phoenix ahead of us. What another awesome day, I’d take an exhausted moonlit walk back to the truck any day over being stuck inside an office. Get out there and push your own limits, you never know what new experience you’ll have and I can guarantee you won’t regret it! Looking up the 4th pitch (exposed and spicy but good holds) towards chicken head central! Food: 2 Cliff bar, 1 plum, 3 protien bars, 1 bag of meditorranian vegitabke chips.